Six people were found to be in a critical condition while three others had sustained minor to moderate injuries. Thirteen people were killed and nine others injured on Sunday night following a collision between a bakkie and light motor vehicle on the N12 between Fochville and Westonaria, said emergency service ER24 on Monday. 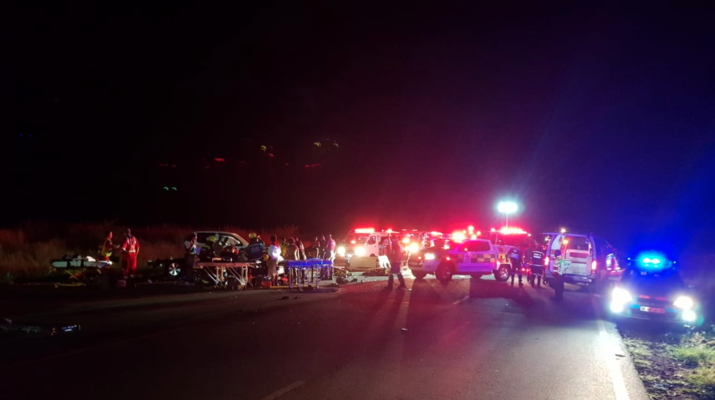 ER24 paramedics, along with other medical services, arrived on the scene after 8pm to find bodies scattered around the scene while others were trapped inside the two vehicles, said spokesperson Russel Meiring in a statement. Six people, including young children, were found to be in a critical condition while three others had sustained minor to moderate injuries. ER24 said details surrounding the incident were not yet known but authorities were investigating.